Robert Meyer just experienced the moment of his lifetime. His moment, I’m proud to say, was made possible by the people of CCMC and their heart for making beautiful memories that matter. So who is Robert Meyer, you ask? Robert Meyer is a quiet hero. 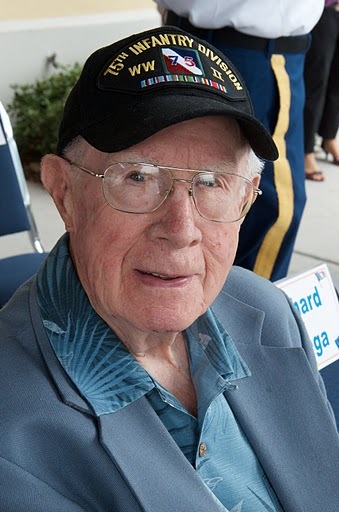 He is a WWII veteran and recent recipient of the French “Legion d’ Honneur” medal, awarded to those soldiers who took part in liberating France from Nazi control. Being chosen to receive this award was quite an honor. Once they received the exciting news, Robert’s family began searching for a venue to hold his award ceremony. Although many Veterans Affairs contacts were made, none was able to offer assistance. Robert began worrying that he would not live to receive this great honor. Then, Robert called the CCMC team at Celebration, Florida. Not long ago, the CCMC team at Celebration dedicated a new neighborhood park – Lakeside Park. Their vision for this park included ceremonies like the one Robert and his family were hoping to arrange. 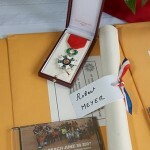 It was a perfect fit and on May 6, 2011 a simple ceremony began with the singing of both the French and American anthems. 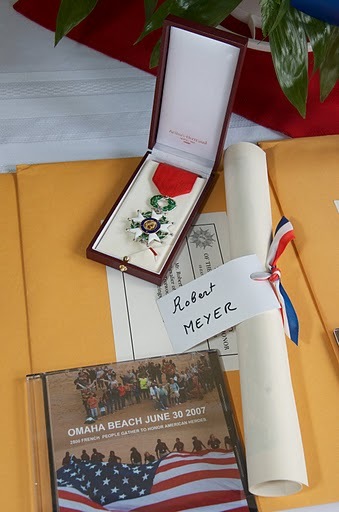 Later, French officials presented Robert with a medal that left him speechless. 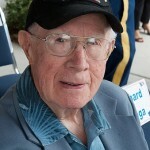 In addition to Robert, ten other military heroes were honored. The ceremony ended in grand fashion – with a flyover for this quiet hero. Stories like this one remind me why CCMC is so different – our people understand they have the power to change people’s lives for the better by simply creating little moments that matter.